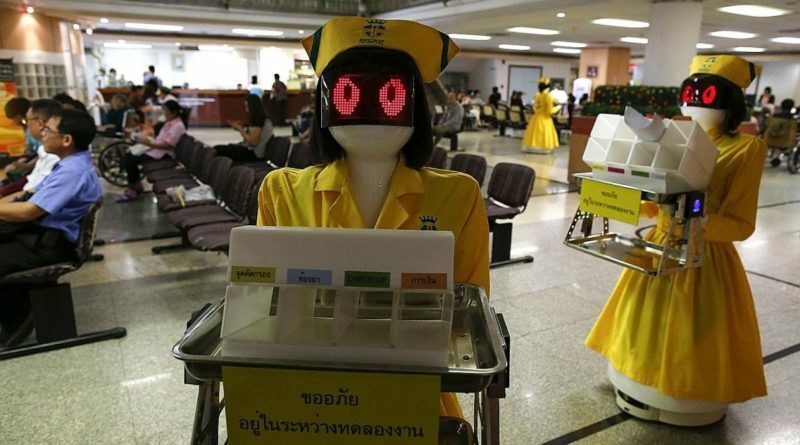 A hospital in Thailand facing a shortage of nurses has turned to robots to fill the void. With a recent heavy influx of new patients, The Mongkutwattana General Hospital in Bangkok can’t find enough qualified human staff to keep up with demand. 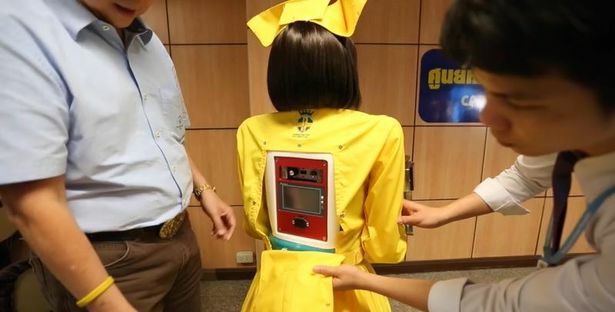 They have recently hired three robot nurses and even dressed them in the hospital’s yellow uniform. 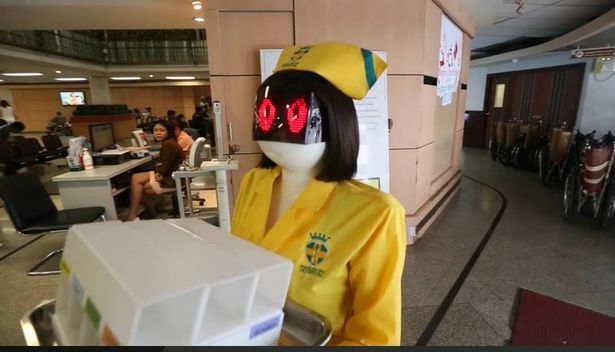 The robot nurses, named Nan, Nim, and Nee, were made by a Chinese tech start-up based in Shenzhen. The mobile nurses are AGV’s, short for Automated Guided Vehicles. They are mainly being used to dispense medication and make deliveries between the eight stations of the hospital. The robots can even take the elevators by themselves and communicate in both Thai and Chinese. Technicians are able to adjust the robot’s settings via a touchscreen. The robot nurses travel along a black magnetic tape on the floor and have sensors that make them stop if a person or object gets in the way. So far the robots have been clocking several miles a day around the hospital. The hospital looks to expand the robot nurses’ responsibilities by placing them in the pharmacy to prepare drug dosages. There are also hopes to have the androids help out in the kitchen and laundry. 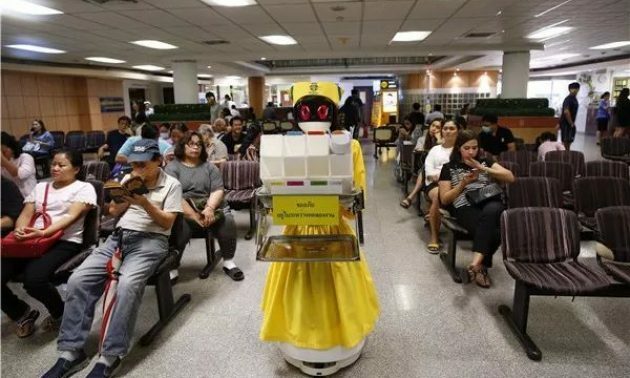 Mongkutwattana General Hospital is only one example of robots being used in healthcare. These days, they are doing everything from making deliveries to performing surgery in hospitals all around the world. With rising costs, aging populations, and workforce shortages, things like robot nurses will soon become a necessity rather than a novelty. Check out our article on robots making coffee and ones that bring you sushi.